No matter what your holiday preference, you're probably aware that Christmas is now just days away. By now, you've already decked your halls with boughs of holly (either physically or virtually), thanks to our last holiday app roundup. 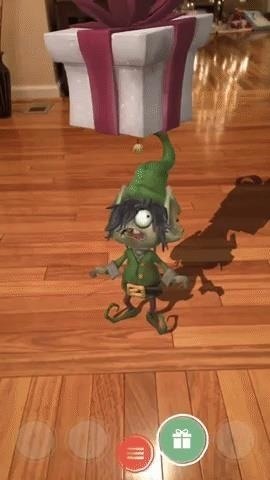 With that in mind, let's take a look at what other gifts augmented reality developers have left us in the days leading up to the big day. First up, we've found some apps that let you build snowmen. The southern US received some seldom seen snow earlier this month, but the snow has thawed, so if we're going to build snowmen around here, it's going to have to be in AR. 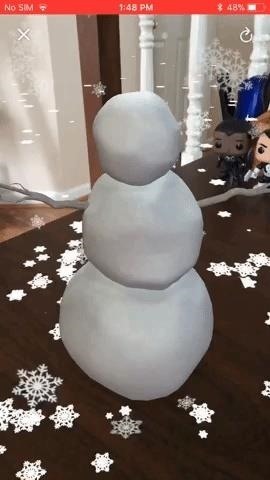 Using ARKit, Build a Snowman AR lets you put a snowman in your immediate environment. There aren't an overwhelming number of customization options, because, really, you don't need much more than eyes, nose, buttons, arms, and a hat. But you can change the colors of the accessories if you need some variety. 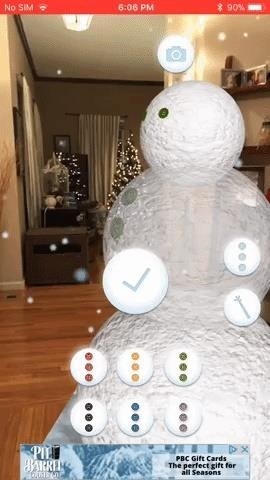 If you use Yahoo Mail, then you don't even need to install another app to build an AR snowman. A recent app update adds the snowman-building mini-game as an...ahem...Easter egg for those who refresh an empty inbox. Although, if you have a Yahoo email address, there's a good chance you don't have a lot of mail to clear out as it is. 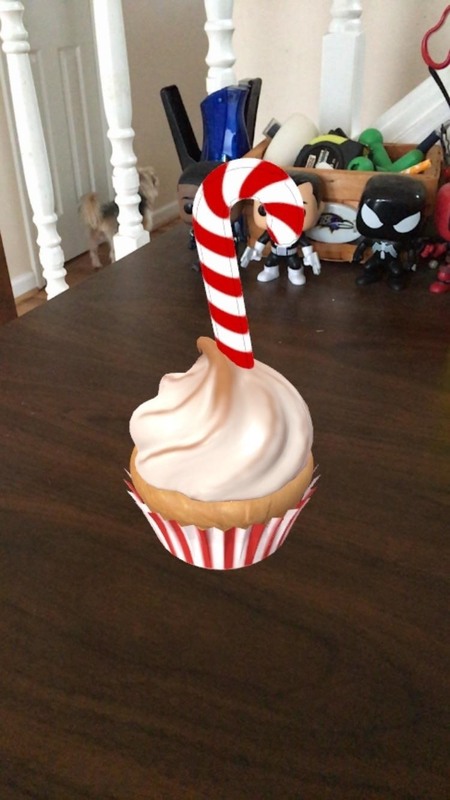 If you'd prefer to build something imaginary on the culinary side, an update to the Food Network in the Kitchen app lets you decorate holiday-themed virtual cupcakes. You can customize the wrapper, icing, and topper, and then share your creations with others. 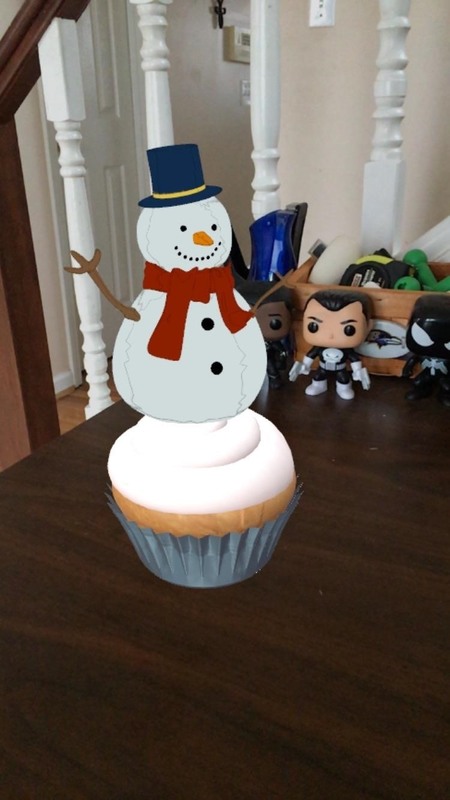 And because the holidays are not just about Christmas, there are a trio of free Hannukah apps built with ARKit this season. Granted, as of Wednesday, the Festival of Lights has officially ended, but better late than never. 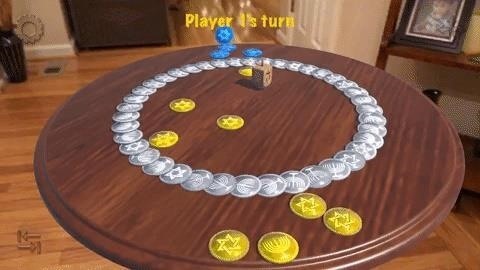 Dreidel ARena gives you the dreidel, betting tokens, and a table to play on along with game guidance. iGevalt provides just the dreidel, but does include a child voiceover announcing the results of each spin. Finally, Dreidel, Dreidel, Dreidel just gives you the driedel, and I wasn't able to spin it for longer than a second and a half. Next, we have a pair of apps that are perhaps best used for relieving holiday stress for those among us who are less than enthused about the season. 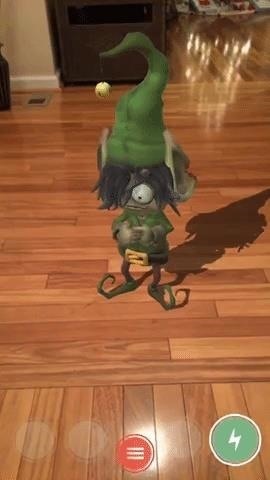 After ARKit finds a horizontal surface, your captive elf appears along with his nametag. The names appear to be randomized; for example, I encountered one named Karber Palindropingbly. You can then proceed to set him on fire, throw snowflake-shaped ninja stars at him, drop a bowling bowl on his head, or electrocute him with a faulty string of Christmas lights. Shockingly (no pun intended), there are no image or video features built into the app, so you'll have to capture or record the screen yourself. 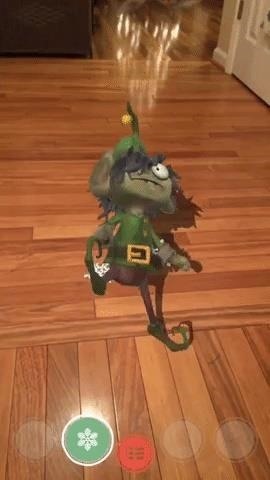 Other than abusing elves, nothing says "Happy Holidays" like fighting zombies. With a Stranger Things influenced soundtrack, Santa Vs. Zombies gives you just that. 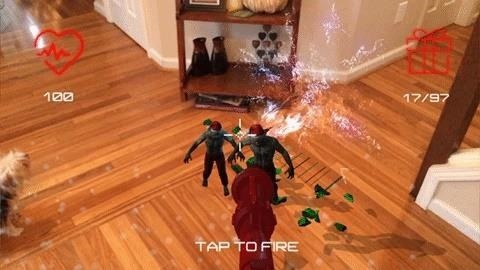 As festive zombies (with Santa hats and...candy cane tattoos...) invade your home, office, or home office, you must obliterate them with a freeze gun before they eat your heart out. Beware: unlike the guns used by the heroes on The Walking Dead, your ammo is limited. Lastly, once you've expelled the bah-humbugs with the previous two apps, you can get back into the spirit of the season with Saving Christmas AR. 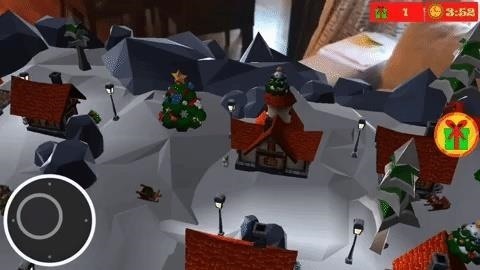 This game places a sprawling Dickens-esque town in your room and gives you an unmanned aerial sleigh to fly over the houses with Christmas trees to airdrop presents. The scale of the town is large enough that players will find themselves walking around the space to ensure that the Santa drone is positioned directly over the right house. Thanks to ARKit, our cup overfloweth with AR games and apps to pass the time. Hopefully, these selections will help bring some cheer to the season for you and yours. Happy Holidays!